Cryptocurrency is still in its infancy. It first entered the tech scene as an idealistic notion: taking control away from big banks and governments and returning it to the people. This would be accomplished by the creation of digital currency that could be secured via cryptographic methods and spent, peer-to-peer, without third-parties either taking a cut or tracking transactions. That was the original vision for cryptocurrency, as laid out by the earliest so-called cypherpunks and the still-mysterious Bitcoin founder Satoshi Nakamoto. Nakamoto’s creation, however, really entered the public consciousness when its price began to skyrocket. Bitcoin millionaires cropped up almost overnight as the coin surged in value, multiplying by many thousand percentage points over the course of just a few years. This, then, was the new normal for cryptocurrency. No longer just a fringe anarchist’s toy, cryptocurrency became a serious vehicle for storing and building wealth. Its ties to the once vilified financial sector increased, and today, there is a large contingent of professionals and semiprofessionals who make money shuttling value from coin to coin or even by reaping large profits from the arbitrage between different exchanges. It’s not solely a professional’s game, however. The explosion of available exchanges — and information — has somewhat returned crypto to its democratic roots. 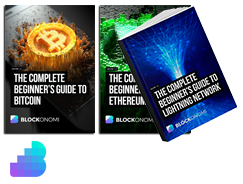 Now, with a little research, a little know-how, and a lot of courage, virtually anyone can try his or her hand as a day trader in the cryptocurrency arena. We’re going to take a brief look at what day trading is and how the average investor can get involved. This article won’t delve much into the specifics of individual coins. Perhaps that should be lesson one: In such a rapidly evolving arena, information changes quickly, and it’s important to get the best and latest information on any given potential investment. 3 Is Day Trading for You? Day Trading is nothing more than the process of buying or selling an asset — be it a security, stock, precious metal, or cryptocurrency. The entire name of the game can be summed up as buy low, sell high. The “day” aspect of day trading is its short-term nature. This is in direct contrast to the popular HODL meme, or “hold on for dear life,” in which you decide to buy a given cryptocurrency and then keep it safe for potential long-term, long-range, and long-odds growth. The object of day trading is to get into the market, take a position, keep a close eye on that position, and then exit at a profit. We’re talking time spans here as short as a few minutes, in the arbitrage arena, up to the day’s trading close. Automated trading, which we’ll touch on later, can have an ever faster turnover. Some bots, or automated computer programs that do your trading for you, can produce a flurry of trades in just a few seconds. It should also be noted that some so-called day traders maintain some positions for weeks or even months, depending on certain security goals. For our purposes, this is still “day” trading. That sounds simple enough. After all, isn’t it the goal of almost every kind of financial activity to turn a profit? That said, day traders can have several different ways of approaching that goal. The two broadest categories into which one can divide day traders are speculators and technical analysts. Speculators do exactly that. They try to find outside market influences that seem to indicate a cryptocurrency will either suddenly gain or suddenly lose value. The best example of this is the newshound, who carefully watches the cryptocurrency wires for news about hacks, big coin tech developments, major adoptions, and other potential market movers. The second category is more concerned with the internal workings of the market rather than outside pressures. This kind of day trader relies on financial charts to get a feel for where the price was in the recent past and where it might be heading next. The science of reading charts, or technical analysis, can be — indeed, is — fairly involved. It doesn’t have to be difficult, however. Learning to identify a few simple, market-tested patterns can give you a pretty good idea of where any given coin’s price will be headed next. Think of the confusing squiggly lines, bars, and candles on your average financial chart as a road map. If you know how to read it, you can say with a pretty fair degree of certainty where those lines will be going next. Before we get into the nuts and bolts of day trading, there’s one particularly important thing we have to cover. Despite the meteoric rise of some cryptocurrencies and the relative ease of the day trading process, day trading is not a get-rich-quick scheme. In fact, it’s very likely that you’ll lose money for quite some time until you get the hang of it. Even the best day traders rely on making small amounts of money over a relatively large number of trades. In many ways, day trading resembles gambling, albeit with slightly better odds. Given all that, the first thing to do is decide whether day trading is right for you. Are you financially able to absorb some of the risks, should a portion of your trades go sour or the market changes in an unexpected way? Are you disciplined enough to cut your losses and get out of a bad position, rather than fall prey to the sunk-cost fallacy? Are you willing to really look at the facts and pass on a supposed opportunity, even if your internal bias is telling you to go all-in? If so, then it’s time to get down to business. Take a look at our guide to the best exchanges for trading crypto, we have also written in-depth reviews of most exchanges so look here to find the one you wish to use. If you’re considering day trading, we’re going to assume that you know how to register an account on an exchange, and what the difference is between a centralized exchange and a decentralized exchange. Just in case, however — most centralized exchanges require some sort of identifying information, such as an email address, and may ask you for further identification for security purposes. Decentralized exchanges are largely anonymous. The trade-off is that centralized exchanges function more like traditional stock exchanges, and they have in-built security systems and relatively high liquidity. Decentralized exchanges may lack ready liquidity, and every trade should be approached with a caveat emptor attitude, but your trades can be conducted in near-total privacy. One of the hard-and-fast rules in day trading involves never risking more than 1 percent of your total bankroll, or available investment money, on a single trade. This can be a tough one to practice. Say you see a trade that seems like a sure thing. Do you have the discipline to place just 1 percent on this seemingly sure winner? But what if you’re right, and you’re missing out on a huge chunk of change by not just betting the farm? Day trading is a numbers game, ultimately. If you play long enough, you will definitely miss some grand opportunities. But a conservative strategy will ensure that you don’t lose your entire bankroll on risky bets. In day trading, it’s always better to collect small but relatively safe rewards over one-time big scores. A second important factor when considering strategy is your stop-loss limits. These are your exit strategies. Most exchanges allow you to set a stop loss that will automatically exit a trade at a given price level. Say you buy a coin at $100, and you want to make sure that you keep a good chunk of that investment. You can set a stop loss at $70, which will automatically sell the coin and preserve 70 percent of your original investment should that coin’s price begin to tank. A related concept is the limit sell order, which automatically closes a trade when your coin reaches a certain higher price. Say that coin is on an upward trend, and you want to make sure you get out at what you perceive to be the top of the market – let’s say $130. A limit sell order will automatically sell your coin once the price reaches $130. It’s probably a good time to bring up the subject of bots and trading algorithms. In your research and adventures in day trading, you’re likely to come across both bots and trading algorithms. Some may be free, and some may be part of a service. We advise caution here. While it may be tempting to sit back and let a program do your trading for you – after all, it can work while you’re doing something else — remember that a bot’s trading is only as good as its programming. Moreover, different bots suit different trading styles, and they can and do make significant mistakes. Bots are something to explore after you’ve been in the market for a while, and they’re never something you can just “set and forget” — they require just as much supervision as doing the job by hand. If you’d like to delve more into the world of automated trading using bots, we have written an in-depth guide to the best trading bots. To become a successful trader, you are going to have to know about Technical Analysis – that is the ability to read and analyze the charts using a number of methods and techniques. Knowing these will allow you identify trends and make predictions about price action. These techniques were developed for the traditional markets but they can also apply to Crypto – that’s because most of the time you will be trading against other traders, who will also be using the same techniques. We employ a number of Analysts who create price charts here on Blockonomi. Take a look at their posts which will help you start to recognize the patterns yourself. Cryptocurrency Trading: What Are Bollinger Bands ? Here’s where the rubber meets the road. You’ve set up an exchange account and jumped into your first couple of trades. So, when do you jump back out? A large part of that answer will come from your individual strategy and your exchange’s fee structure. You should always factor in fees when deciding when to exit a trade. After all, if your profit disappears entirely into trading fees, did you make a profit at all? Individual comfort is also something to consider. We already know that it’s part of the day trader lifestyle to take small profits over many individual trades. How small is too small for you? Put another way, is the work you’re putting in as a day trader worth the reward? It’s also important to remember that since you’re only making very small amounts of profit on each individual trade, one large loss can potentially wipe out an entire day’s worth of gains. In almost all instances, it’s best to play conservatively and reap your profits as often as you can, fee structure permitting. There’s a last, somewhat unpleasant bit to this whole day trading business, particularly if you plan to do this in the U.S. Sooner or later, the question of taxes is going to come up. It’s highly advised to see a tax professional before you begin day trading to get an idea of your expected tax burden. A loose rule, however, is that day trading is going to be governed entirely by short-term capital gains rules. Since you’re only going to be holding your assets for a few hours at a time and taking a profit immediately, you won’t benefit from the lower tax rates associated with long-term capital gains. These can be high — as much as 40 percent. So, in addition to your expected profit loss from exchange fees, you need to take on your expected tax burden. U.S. tax laws regarding crypto are still fairly murky, but the government has a broad definition of what can be taxed. Basically, any coin-to-coin trade or coin-to-fiat trade is a taxable event. So, if you’re making many trades over the course of the day, you can potentially rack up dozens of taxable events each and every day. A tax professional can help you select software to keep track of your trades to make tax filing simpler, and the professional may even be able to help you decide what your acceptable level of profit should be before you pull the trigger and create a taxable event. Day trading has the potential to generate both large profits and large losses. A conservative trading strategy is highly recommended for everyone, particularly the beginner. Don’t let supposedly lost opportunities cloud your judgment when it comes to taking profits, and don’t forget that day trading isn’t free money. There are exchange fees to be paid, and the tax man will ultimately come knocking for his share. Don’t forget that day trading isn’t for everyone. If the game seems too hectic, or the work outweighs the rewards, consider a different strategy, such as long-term holding or becoming involved with a professionally traded fund that you can invest in much as you would a common mutual fund. Ripple (XRP) Price Analysis: Bears Are Back!